When I heard about Renuzit's new Fresh Accents air fresheners, I began really thinking about what I wanted to do to freshen up my home for spring this year. 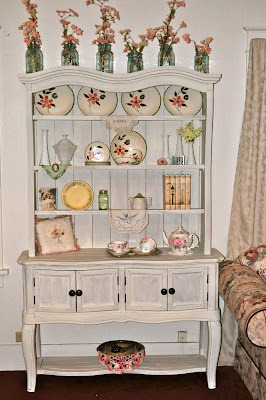 I knew that, above all else, I wanted to do a makeover on this hutch in my living room! Believe it or not, Renuzit's Fresh Accents inspired me toward a whole new look! As I mentioned a few days ago, I really wanted to repaint this hutch but I wasn't sure how my husband was going to respond. Well, my womanly-wiles won out and Jamie said yes! I headed to Safeway to pick up my new air freshener. I really like the twig-like design and I knew this green color of the After the Rain scent would match well with my Grandma's plates that I was planning on displaying on the hutch. For more photos of my shopping trip, please check out my Google+ album! I found this pretty vase and berry bunches at Dollar Tree. They go perfectly with the First Stitches display that I made a few months ago. 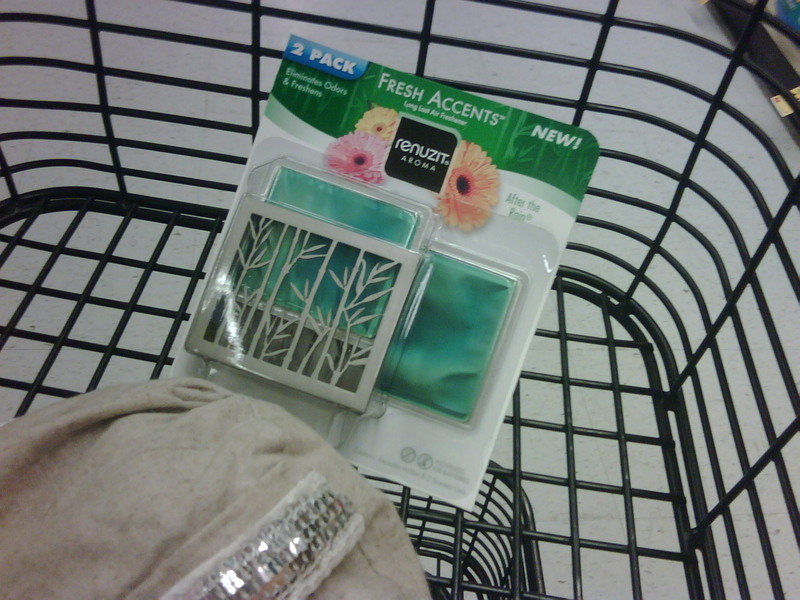 One neat thing about the design of the Fresh Accents freshener is that it looks awesome from both sides! See how it just blends in with my nature theme! Here it is! 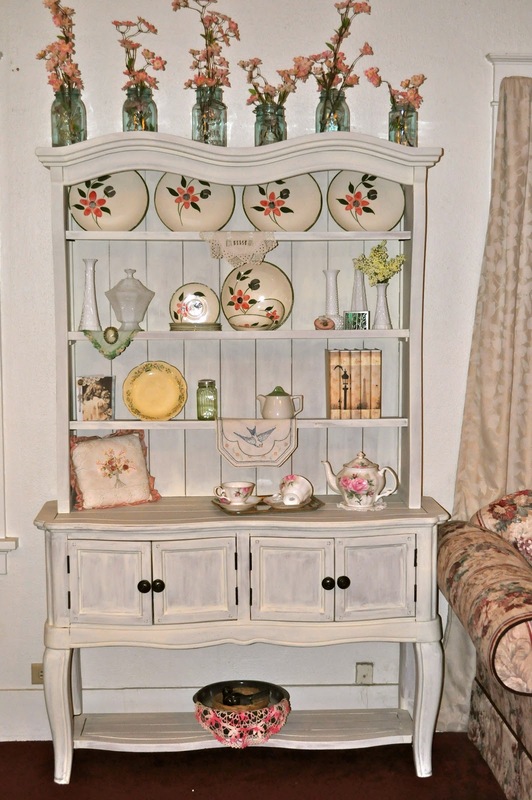 I wanted a white-washed look for the hutch and I am just so thrilled with the way it turned out. All the colors just go so well together. As part of my makeover, I created a couple of new accessories. Check out my Vintage Paris Book Bundle tutorial to learn how to make one for yourself! It was WAY simpler than I thought it would be...I definitely plan on making more! I like how my new berry bushes accent the cream colors in the bird and books. 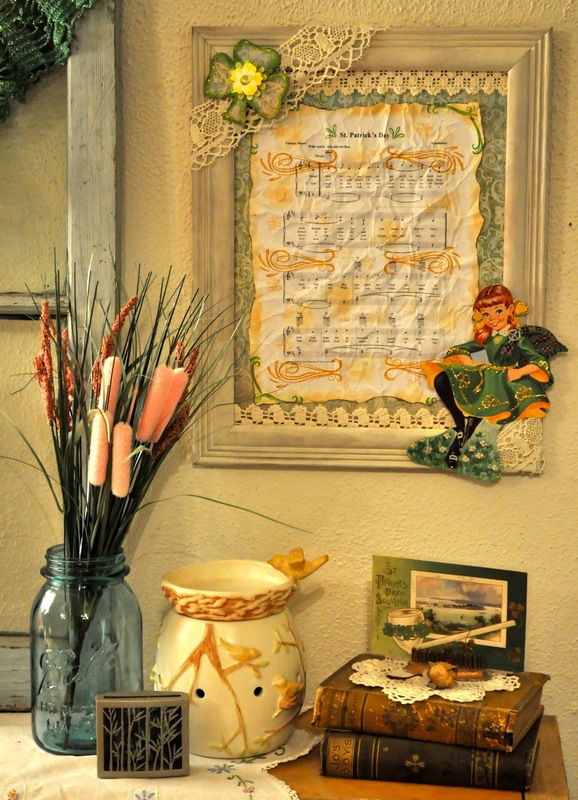 The bright pink thistle bush that I picked up for the makeover and green color of my new air freshener even went great with my newly-created St. Patrick's Day framed art! One thing that I really love about the Renuzit Fresh Accents scent that I chose, After the Rain, is that it scents my whole room without being overpowering. Each cartridge lasts approximately 30 days and is much less expensive than a scented wax bar for my warmer. On top of that, it doesn't use any electricity! This shop has been compensated as part of a social shopper insights study for Collective Bias. #CBias All opinions are honest and are my own. You're SO good displaying St Patrick's day art! 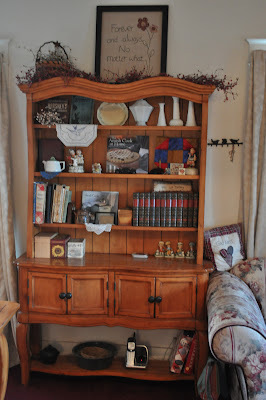 I love love love that hutch! Oh wow. That hutch looks completely different. I love it! Wish I had one like that. So much brighter - perfect for spring. It looks great great, love the St Patty theme! We welcome Spring!! What an AWESOME makeover! I LOVE the hutch! Great job Sarah! The hutch looks beautiful! Your grandma's plate are perfect for your spring hutch. I love the new hutch. The white really brings out the items inside. All your St. Patty's Day decorations are very festive. 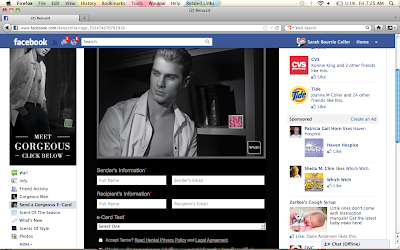 Wow, I really like the makeover but I REALLY like that hutch makeover! Are you going to do a separate post on how you did that? I have a hutch that I would love to do that to! 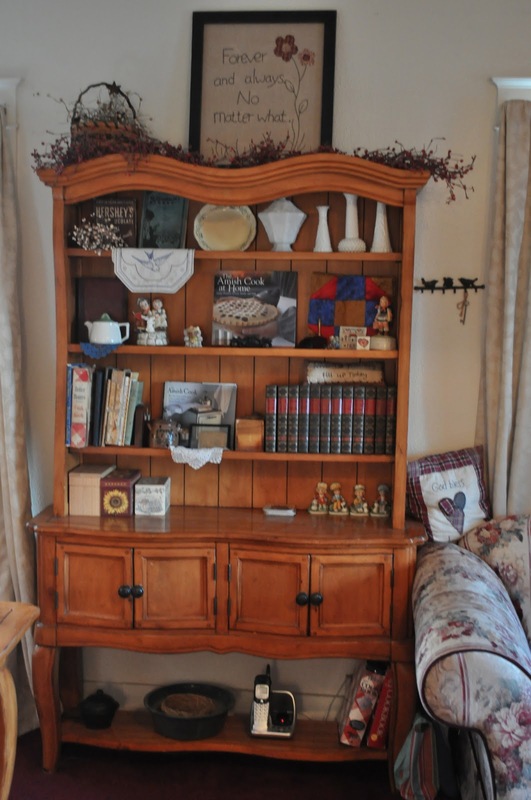 Your hutch makeover is Beautiful. I'm sitting here thinking, I thought I posted a comment. Then I remembered it hadn't gone through lol.